Left to right Sailability Volunteers: Jim, Richard, Malcolm, Julie, Mike, Adam, Trent. Picture by A J Guesdon. 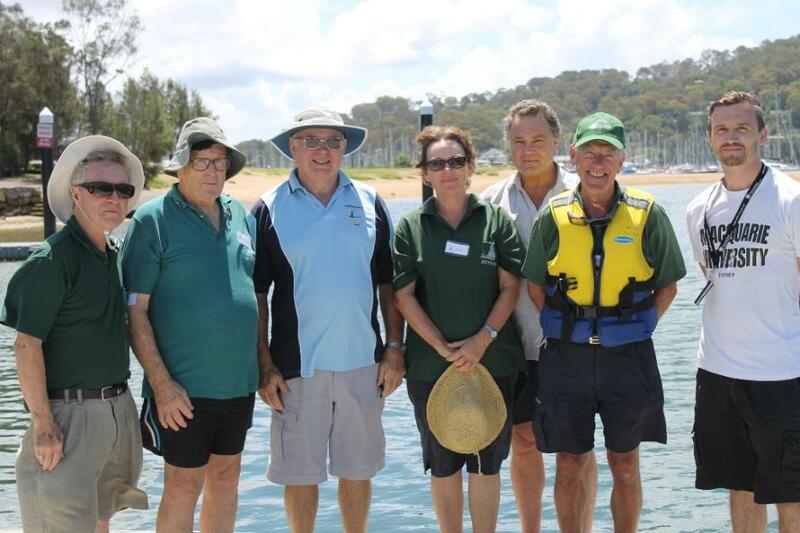 From 8.30am to 5.30pm on Wednesdays Sailability Pittwater is on duty with volunteers taking people out on the beautiful Pittwater for a sail. On Wednesday this week sailors from Catholic Community Care, Fisher Road Special school, Pittwater High School, Flintwood as well as the regular after school children were experiencing the freedom of sails, being on saltwater and among salt airs. Some of these are through the NSW Government's ADHC Program. In November 1995, a meeting was held at Royal Motor Yacht Club by Kay Cottee A.O, Phil Vardy, and representatives of AYF to canvass interest in forming a group to get people with disabilities onto the water. Sailability Australia facilitates sailing and boating throughout Australia for people with a disability in social, recreational and competitive activities. With a motto of 'Freedom on the Water - Regardless of Ability' this great organisation recognises and promotes how sailing is for all and the joy a few hours on the water brings. Sailing for beginners with Sailability Pittwater on Wednesday 3 April from 1pm to 4pm will form part of this year's Senior's Week Live Life! activities. Seniors will get to crew with an experienced sailor in a safe and unsinkable dinghy. Enquiries: 9451 9074. Report and photo by A J Guesdon, 2013.